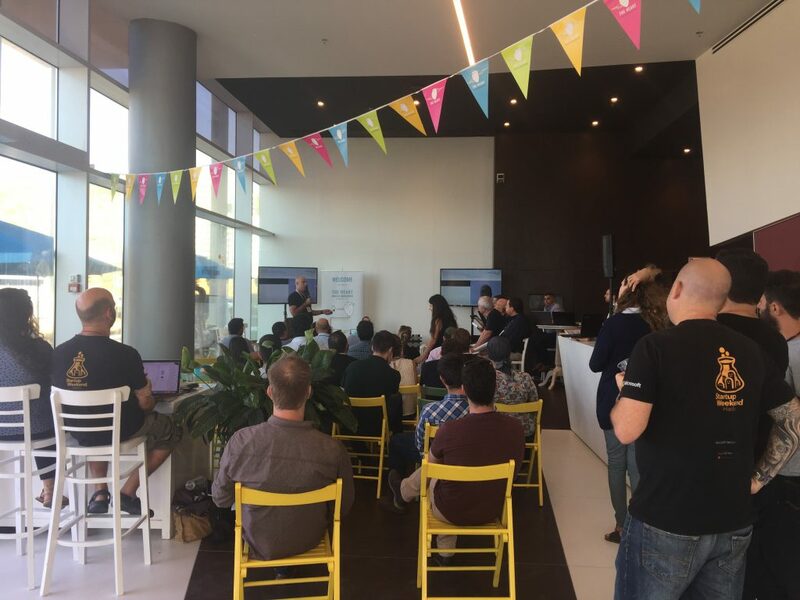 The heart health hackathon was all about developing a digital health solution for diagnosis, monitoring or prevention of cardiac-related conditions and their growth. 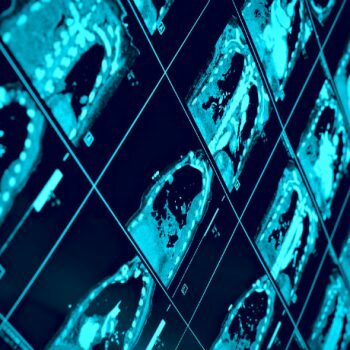 Heart diseases are one of the most primary causes for mortality and morbidity, and is connected with noticeably rising healthcare costs worldwide. 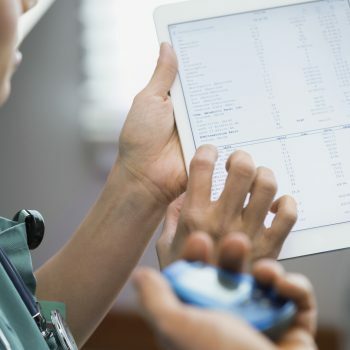 The ideas was to create digital health interventions to shift healthcare from hospitals to the community and home, and to improve individualised care through innovative technologies (e.g. wearables, sensors, AI, machine learning, mobile applications). 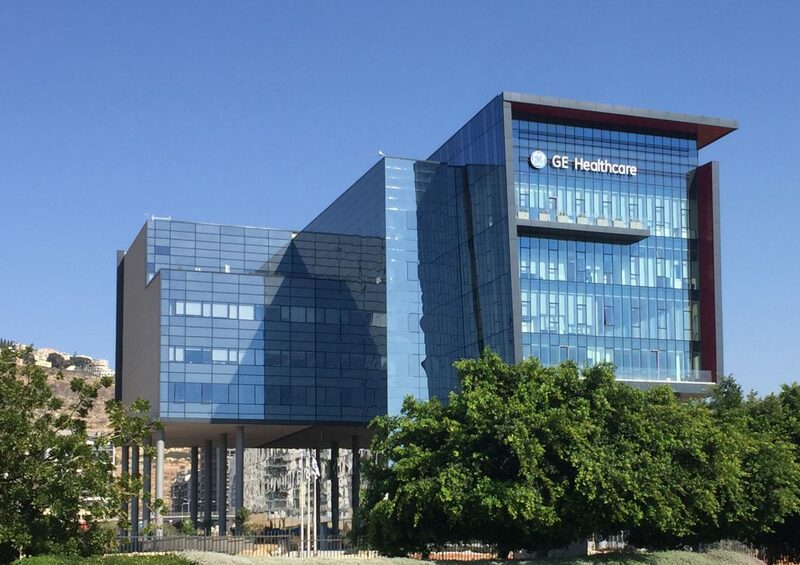 Proof arrived at the beautiful @GE Healthcare building situated south of Haifa with our computers ready to go. Upon arrival we were greeted by the superb Yael Ophir who swiftly welcomed us in. Badges were printed . As we scan the room, the layout looked super inviting, a bar (yes beer and pizza), room had extremely high ceiling, plasma in every corner. Most everyone was hard at work. It was now our turn. With only a hand full of mentors available on the floor (Clinical Professionals Dr. Uri Rosenschein – Director of Cardiology Bnai Zion Medical Center ​ Dr. Dov Weiss Cardiologist Carmel Hospital and a couple more), Guy and I where approached by a few of them asking us if we need help with our idea. The fact of the matter was we were focused on understanding what problem we could try and solve. 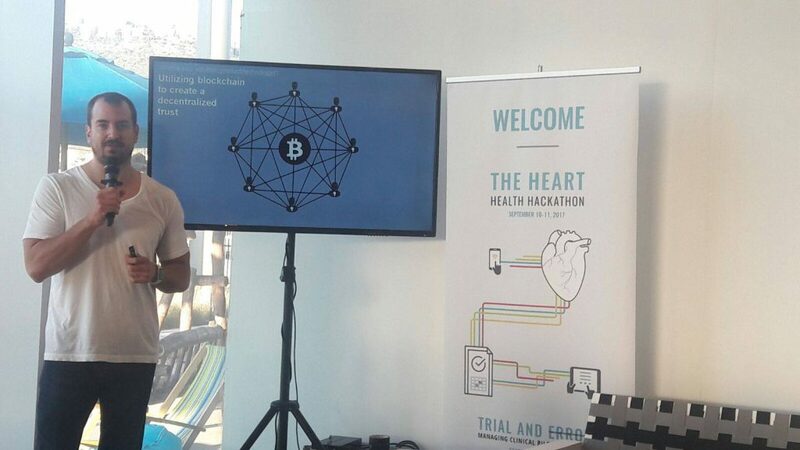 The second part of the day was creating the idea and how Blockchain could help which involved the mentors. It become apparent that one main problem was the fact that records often get mixed up. This would mean that a patient would turn up for surgery, and on rare occasions the information that was presented to the operating room was actually the wrong information. Utilizing blockchain to create a decentralized trust, we built a feed that would demonstrate how an entry on the EMR system could be added without the worry of it being mixed up or duplicated elsewhere. Institutes work in silos of data and find it hard to adopt new tech unless they join our private blockchain that we proposed to create. Code was developed and the presentations ready to go.